As demonstrated in the 2018 KPI Green Book, states with lower tax burdens have superior economic growth and they gain population from domestic migration. 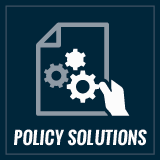 And because efficient, effective government is the key to having a lower tax burden, we support policy solutions that help government provide good quality services at the best possible price. 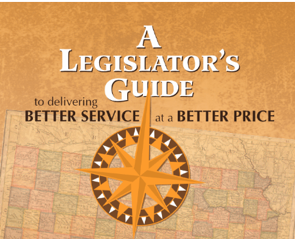 Three of the most impactful steps state and local governments can undertake – priority-based budgeting, pension reform and tax subsidy program review – are among the solutions included in A Legislator’s Guide to Delivering Better Service at a Better Price. Priority-based budgeting requires each agency or department to prioritize every program or service it provides from most to least effective and ideally, also measuring the cost per-unit of output in each case. This process ensures that resources are more efficiently and effectively deployed. Government defined-benefit pension programs generally provide far more lucrative retirement benefits than are available to most taxpayers and the cost of funding these pension plans are enormous. The 2017 annual report of the Kansas Public Employees Retirement System (KPERS) shows the unfunded liability at $9.1 billion but that’s predicated upon annual investment returns of 7.75 percent. A study by the American Legislative Exchange Council using a risk-free return of 2.142 percent puts the KPERS unfunded liability at $38.5 billion. We recommend freezing enrollment in defined-benefit programs, putting new hires into 401k-like defined-contribution plans and allowing existing members to freeze their pension benefit and join the DC plan. Privatization of functions that don’t have to be performed by government workers is being successfully utilized by state and local governments across the nation, as explained in this joint study with Reason Foundation. Services can be directly outsourced to the private sector including innovative ways to have private capital fund infrastructure projects. Properly implemented, government retains quality control and citizens benefit from better pricing and lower taxes. Shared-service agreements across government entities provide more options to outsource costs and perhaps even improve quality. These are often employed to some extent but there’s enormous potential in maximizing opportunities between cities, counties, school districts and other government entities. The cost of regulatory compliance is routinely cited by employers as a major concern. 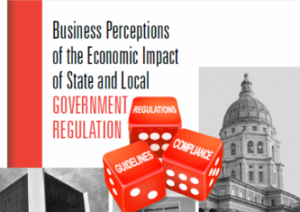 Surprising to some, the businesses interviewed for this research project did not have as much of a problem with the regulations themselves or the need for regulations, but with their application and enforcement. Across industries and focus group sessions the key themes were clear – give businesses transparency in what regulations are being applied, how they are employed, provide flexibility in meeting those goals, and allow an opportunity for compliance. We also recommend legislation enhances accountability by prohibiting any regulation from going into effect until approved by elected officials. 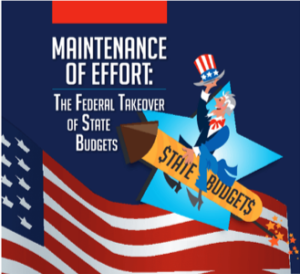 Maintenance of Effort (MOE) requirements related to federal grants reduce state and local elected officials’ control over spending by mandating spending levels and regulatory action, sometimes even after the federal support goes away. Federal grants and their MOE requirements routinely escape legislative scrutiny because agencies are allowed to directly pursue federal grants. 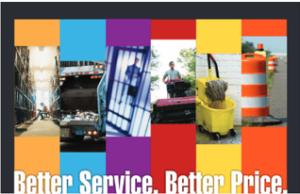 We recommend legislation that prohibits state and local agencies from committing to federal maintenance of effort requirements without prior approval of elected bodies.